These Tubes contain a Gel barrier at the bottom . 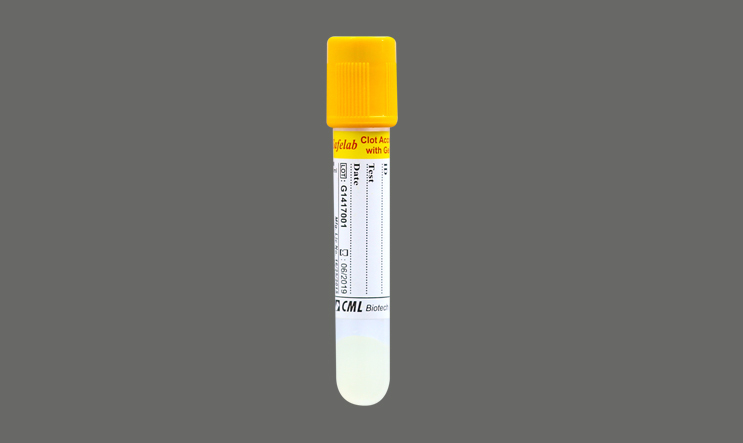 The specific gravity of this material can make the barrier gel move upward to the serum-clot interface during centrifugation and it forms a stable barrier separating serum from fibrin cells. This barrier provides stability of certain parameters of the tubes under the recommended conditions for up to 48 hours. Gently invert the tube1800 8-10 times and after coagulation ,centrifuge at 2000-3000 rpm for 10 min. at room temperature. Used in Bio Chemistry, Immunology and serology. Antibody screening, Indirect and Direct methods.